Whether you like natural and classic or bright and modern, these 7 stunning ways to decorate with pine cones are perfect for fall and winter decor. So you want to create beautiful seasonal decor, but have no room to store gobs of decorations for each holiday or season? We barely have room to store our four bins of Christmas decorations, not to mention any decorations we might have for the other 11 months and 9 major holidays throughout the year. I’ve tried my best to turn open storage into a beautiful display of what we have, but sometimes it’s still just too much stuff. The awesome thing is that nature provides just about all the decorations you need for any season, and fall is one of the absolute best for finding natural items to decorate with. In particular, I love to use acorns and pinecones. After figuring out the best way to dry them out for long-term use, I couldn’t get enough of using these items throughout the winter in many different ways. Aren’t these mason jars gorgeous? The flowers were made by removing the pine cone scales (I totally had to look that up, btw) and gluing them back together in a floral pattern. Read more at Uncommon Designs Online. No time to wait for pine cones to dry out? Try giving them a full coat of spray paint. That’s exactly what I did for this gold Thanksgiving arrangement, and it worked perfectly. Since spray paint is oil-based, it encapsulates any icky things that might be lurking inside. Plus, they’re just so pretty to look at! 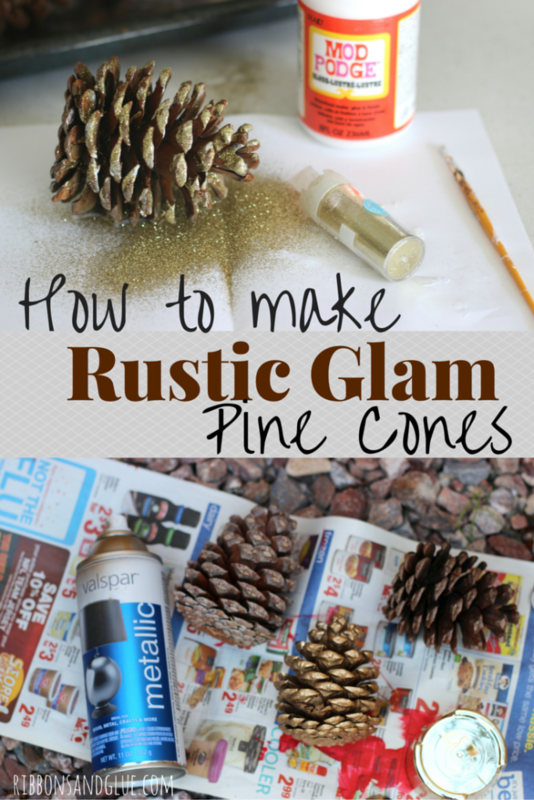 Don’t want your pine cones completely gilded? Try adding a bit of gold glitter just to the edges of the scales just like Holly did from the blog Ribbons and Glue. Just that little touch adds so much sparkle and joy. 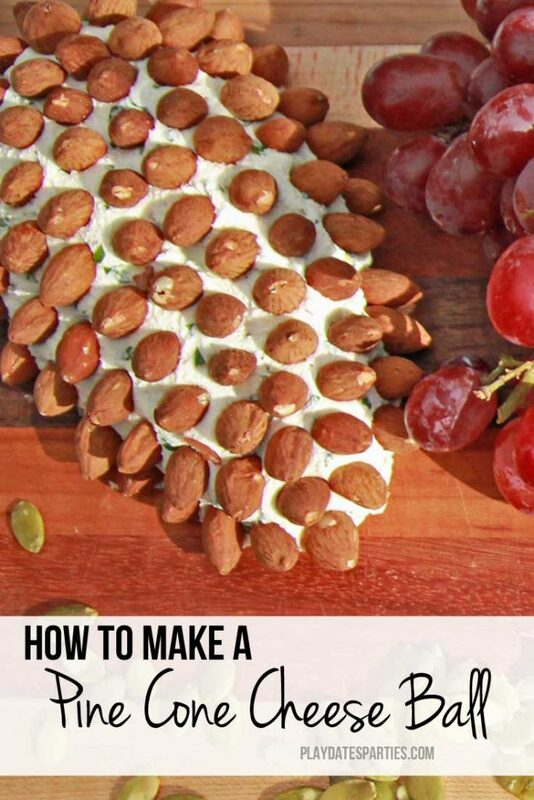 Tips: Give yourself plenty of time to make a single one of these. It’s a long and tedious process, but well worth the effort. I love burlap buntings and paper straw garlands as much as anyone else. But sometimes nature just packs a bigger punch. This pine cone garland from The Inspiration Vault is an easy way to use up those pine cones scattered around your yard. 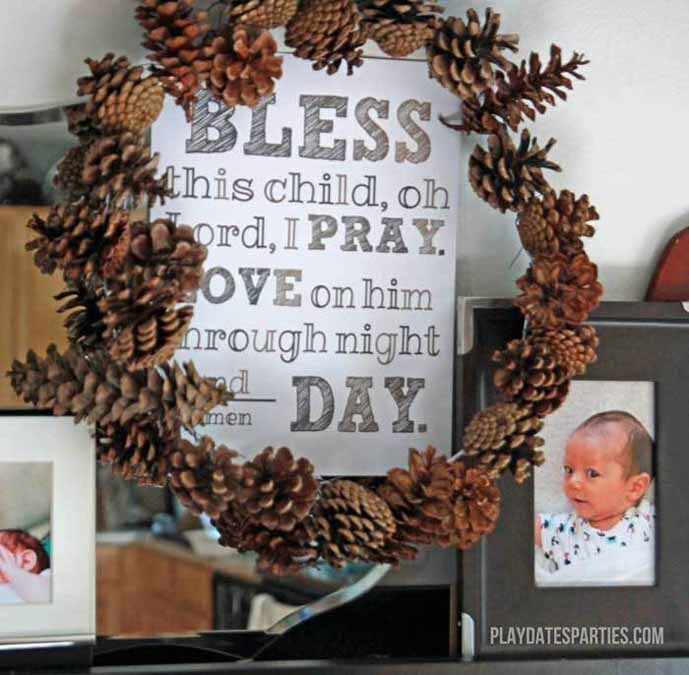 Or, you could make a simple pine cone wreath just like the one I made for my son’s baptism reception. I liked how simple it looked, and it didn’t take too long to make, either. Get the full tutorial over at I Heart Naptime. Don’t worry about buying and storing decor for your fall displays. 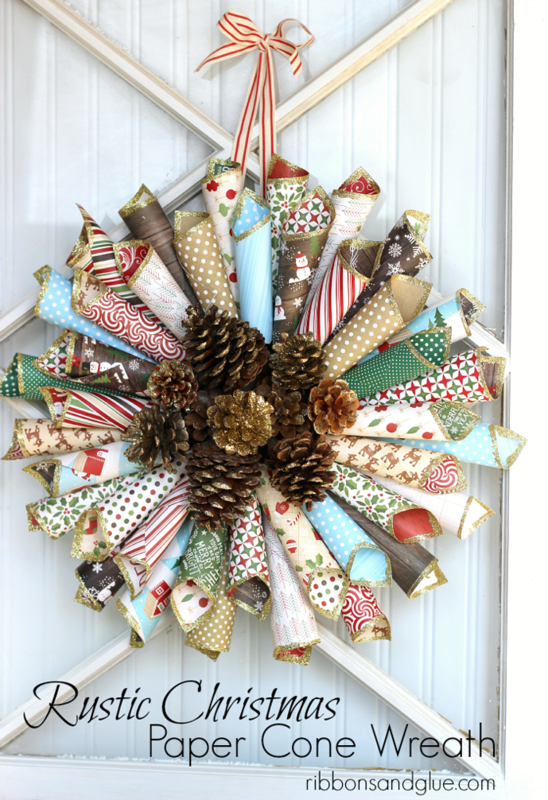 Get outside, grab some pine cones and get decorating! 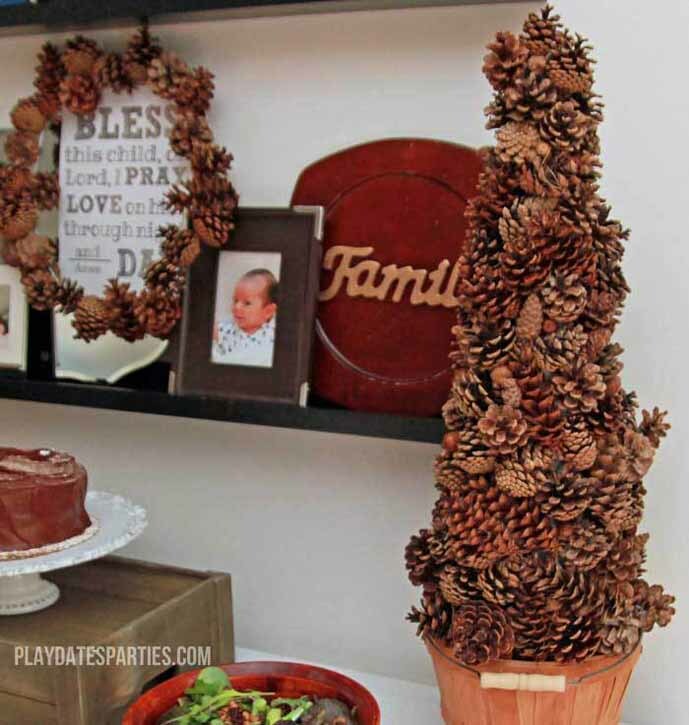 Which is your favorite way to decorate with pine cones? Have you ever used mostly natural elements when decorating for a season or a party? The pine cone decor is AWESOME! I really love the mason jar ones! Pine cones are awesome to decorate with. Thanks so much for stopping by! So creative! 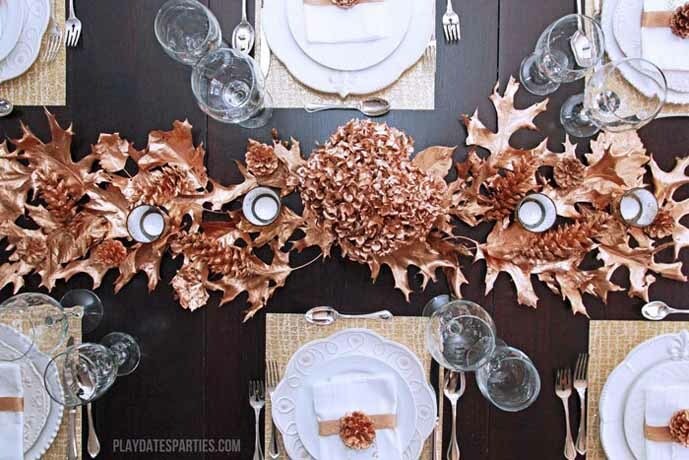 I just love the table runner with the sprayed pine cones and also the wreath with wrapping paper around the pine cones. And all I’d need to do is walk outside and gather some pine cones! Pinned! The gold pine cone centerpiece was even more beautiful in person…you really need to see the original post to get the full idea. So gorgeous. I also love the paper cone pine cone wreath. The possibilities are seemingly endless. Thanks so much for stopping by! 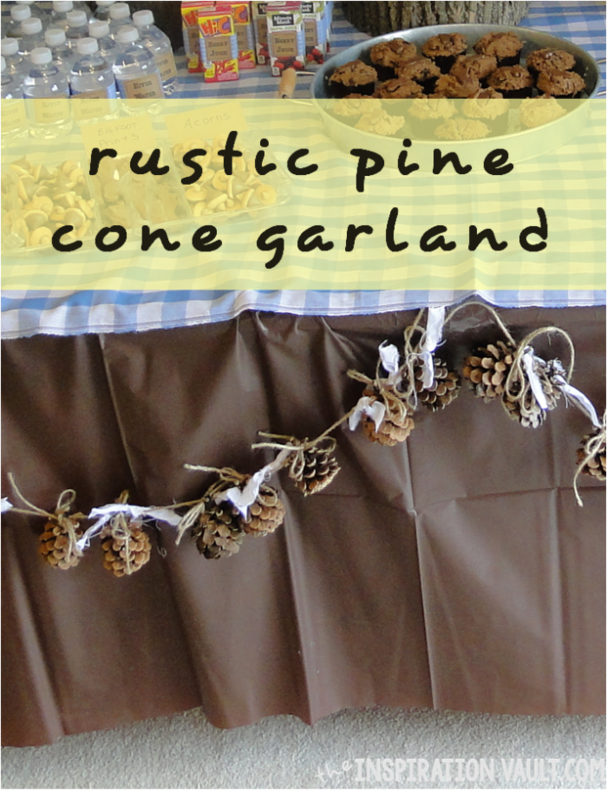 I particularly like the pine cone garland, and since we have lots of pine cones in our front yard, I’ll have to get started here pretty soon – love the ideas of spray painting and adding ribbon for the garland. Nice fall touches! These are all so pretty! I just love the pine cone tree. I’d leave it out all year 😉 . Love pine cone ideas – especially removing the scales and regluing in a flower pattern. I did not know they were called ‘scales’ either! Found you on To Grandma’s House We Go Party. Lots of creativity. 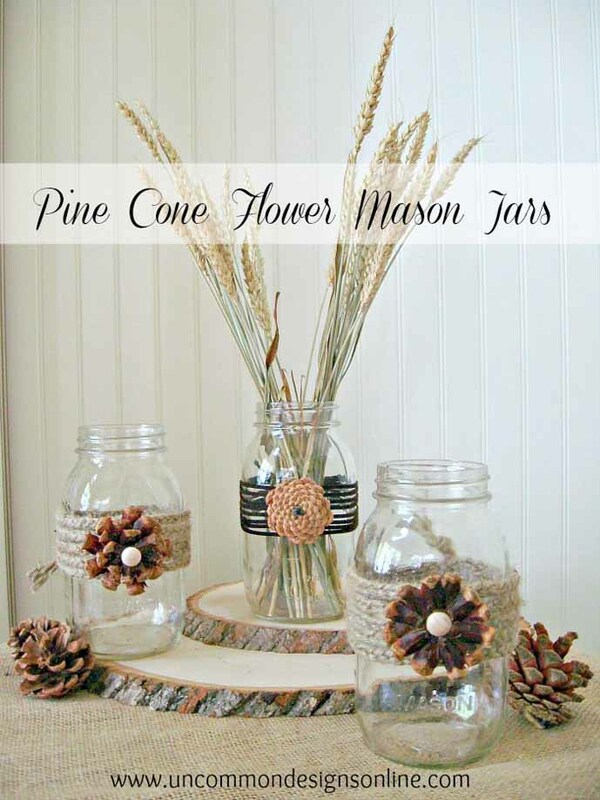 My favorite are the pine cone garland and the pine cone flowers on mason jars. We don’t have any pine trees at our new home and I miss the pine cones. What a beautiful collection of pine cone decor LOVE the texture. Such pretty ideas! I’ve pinned and tweeted this post to share! Visiting via Jodie’s Reader Tips Tuesday. If you have time, please do pop by and share this wonderful post at The Hearth and Soul Link Party live on my site now. Have a fantastic weekend! 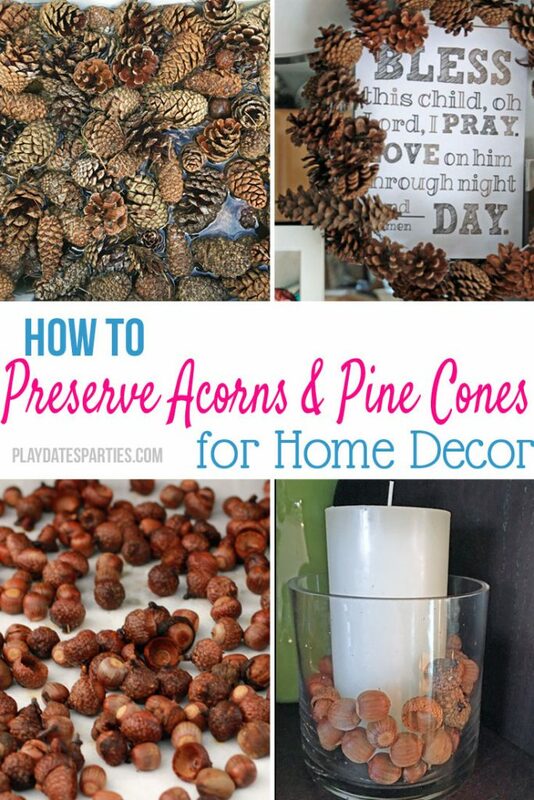 Leslie, these are awesome ideas for pinecones! You’re right…sometimes what you find in nature is far more beautiful than store bought items. 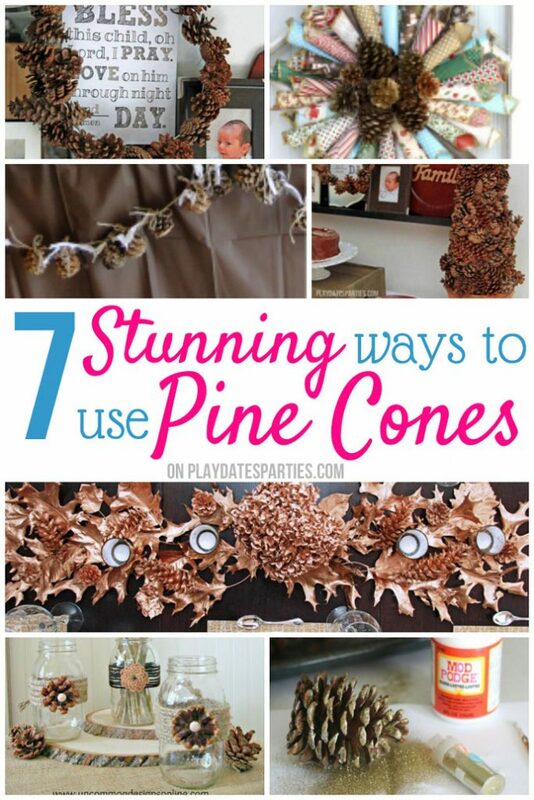 Love all the pinecone ideas! Wish we had more of them around here. Beautiful ideas with pine cones. Your pine cone tree is just beautiful. The texture of it is so interesting. I love crafting with free items and creating lovely home decor. 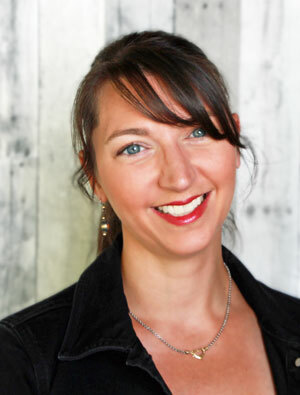 Congrats, you’re featured at the This Is How We Roll Link Party.